But by the time we left the school, I could carry a bit of the box, I could hold Jake, and most importantly I could breathe! I love this cream! The pan-away has a strong wintergreen scent and the peppermint also usually bites, but with the valor in it, it is calm and sweet, and not so overpoweringly minty. I think I love it! I ended up reapplying before bed. the next day, I was a little tender, but not bad. Turns out I didn't need to go to the chiropractor at all! Good stuff. And it works! 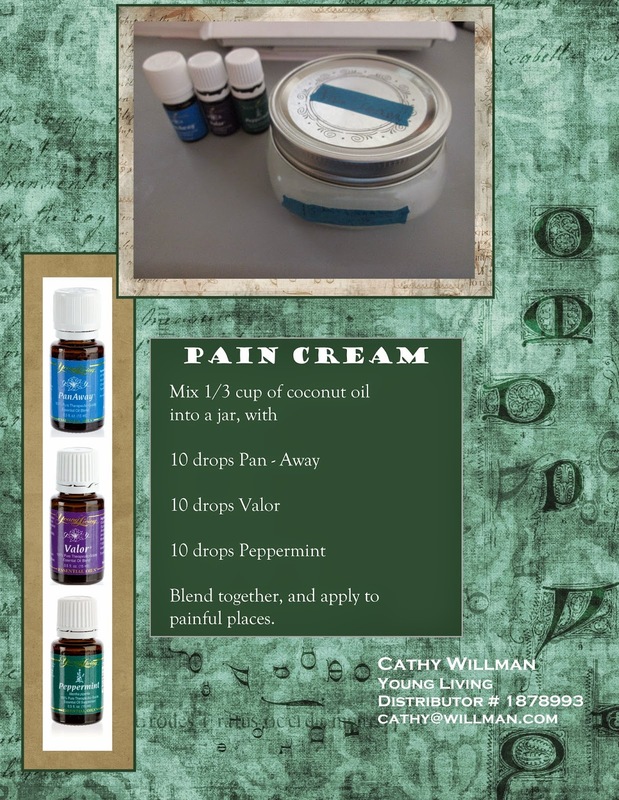 So here's another oil recipe - Cathy Approved!